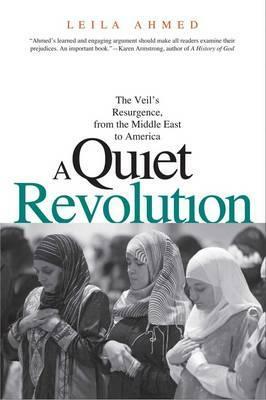 A Quiet Revolution: The Veil's Resurgence, from the Middle East To America, Leila Ahmed, Yale University Press, $30.00. The hijab is back – on an increasing number of women’s heads, and as a subject of public debate. This discussion is often premised on contentious and stereotypical images of veiled women as a reflection of Islamic oppression. To what extent is the veil’s resurgence a reaction to these perceptions? Are there different meanings to the hijab? What do Muslim women – veiled and unveiled– have to say about their choices? These are just some of the questions that Harvard professor Leila Ahmed poses in A Quiet Revolution. Ahmed provides an interesting historical analysis of the issues surrounding the hijab since the beginning of the 20th century, before exploring in detail the “unveiling movement” in Egypt. She then reflects upon the revival of Islam in the United States, and the different forms of activism that have emerged as a result. A key theme throughout is the connection between the reappearance of the hijab in the East and West. Ahmed argues that understanding the situation in Egypt – a non-Islamist society that went from unveiled to predominantly veiled society in less then 30 years – will help shed light on contemporary dynamics in the West. In the same vein, Ahmed demonstrates how religious movements are not static. They can transform across frontiers and generations “and take root in environments where new social and political conditions open up new possibilities of belief, practice and interpretation.” Ahmed’s critical perspective on the politics of the veil in Egypt and the United States is a valuable contribution to the study of hijab, and, thus, to a better understanding of the status of women in Islam.